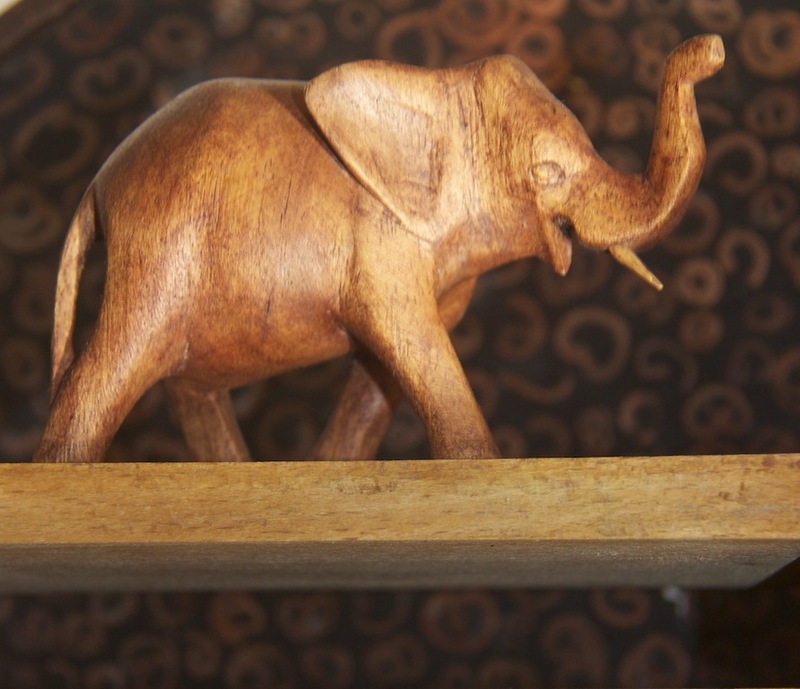 I came across a little wooden elephant, roughly carved like so many sold by street vendors in Africa, yet another object gathering dust and cluttering up my life. Holding it in my hand, to give it one last farewell look, I replaced on the shelf, twisting it at the same time. The little elephant came alive. The wood carver knew elephants, the way the weight falls from the body into the leg, when these massive, gentle creatures move. How could I throw away such a beautiful, honest creation? Instead I gave the elephant a platform fashioned from a small, stylishly crafted Nigella Lawson chopping board that had broken in half. Nigella and the elephant. What a strange combination.